بشیری زاهد, گلناز, مظاهری, کیومرث. (1391). مقایسه مدل‌های پیش‌بینی پارامترهای امواج انفجاری ابر هوا- سوخت. نشریه پژوهشی مهندسی مکانیک ایران, 14(4), 55-75. گلناز بشیری زاهد; کیومرث مظاهری. "مقایسه مدل‌های پیش‌بینی پارامترهای امواج انفجاری ابر هوا- سوخت". نشریه پژوهشی مهندسی مکانیک ایران, 14, 4, 1391, 55-75. بشیری زاهد, گلناز, مظاهری, کیومرث. (1391). 'مقایسه مدل‌های پیش‌بینی پارامترهای امواج انفجاری ابر هوا- سوخت', نشریه پژوهشی مهندسی مکانیک ایران, 14(4), pp. 55-75. بشیری زاهد, گلناز, مظاهری, کیومرث. مقایسه مدل‌های پیش‌بینی پارامترهای امواج انفجاری ابر هوا- سوخت. نشریه پژوهشی مهندسی مکانیک ایران, 1391; 14(4): 55-75. مهم ترین مدل‌هایی که‌ پارامتر های انفجار ابر هوا- سوخت را پیش بینی می کنند عبارتند از: مدل هم ارزیTNT، مدل چند انرژی و مدل Baker-Strehlow-Tang (BST). در کار حاضر به مدل سازی انفجار ابر هوا- سیکلوهگزان در نیروگاه فلیکسبورگ، توسط هریک از روش های مذکور پرداخته شده و نتایج پیش بینی شده با مقادیر مشاهده شده مقایسه گردیده است. تحقیق حاضر نشان می دهد که مدل هم ارزی TNT اغلب فشار بالاتری را نسبت به نتایج مشاهده شده در نزدیکی مرکز انفجار پیش بینی می کند. تغییرات حجم ابر هوا- سوخت تأثیر کم و تراکم موانع بر سر راه حرکت شعله و میزان واکنش پذیری سوخت، تأثیر زیادی در فشار پیش بینی شده توسط روش چند انرژی و BST دارند. مدل های چند انرژی و BST تقریباً نتایج مشابهی ارائه می دهند. Bjerketvedt, D., Roar Bakke, J., and Van Wingerden, K., "Gas Explosion Handbook", Christian Michelsen Research, Bergen, Norway, (1990). Davenport, J., Birtwistle, J., Grossel, S., and Hoffman, P., "Guidelines for Evaluating the Characteristics of Vapor Cloud Explosion, Flash Fires & BLEVES", American Institute of Chemical Engineers, Center for Chemical Process Safety, (1994). Jiang, J., Liu, Z. G., and Kim, A. K., "Comparison of Blast Prediction Models for Vapor Cloud Explosions", Combustion Institute Canada Section, NRCC44715, pp. 23.1-23.6, 13-16 May (2001). Lea, C.J., and Ledin, H.S., "A Review of the State of the Art in the Gas Explosion Modeling ", Health and Safety Laboratory, SK17-9JN, (2002). محبی نیا، س.،" مطالعه آسیب پذیری در برابر موج انفجار اکسید اتیلن"، پایان نامه کارشناسی ارشد، دانشکده مهندسی شیمی و نفت دانشگاه صنعتی شریف، تهران، ایران، (1380). Tang, M.J., and Baker, Q.A., "A New Set of Blast Curves from Vapor Cloud Explosion", Wilford Baker Engineering, INC., Texas 78209, USA, (1999). Park, D.J., and Lee, Y. S., "A Comparison on Predictive Models of Gas Explosions", Korean J. Chem. Eng, Vol. 26, No.2, pp. 313-323, (2008). Appa R., A., "Fuel Air Explosives", Explosives Research & Development Laboratory, Def Sci. J. Vol. 37, pp.23-28, (1987). "A Comparison of Vapor Cloud Explosion models (Issue 1)", Quest Quarterly, Vol. 4, Quest Consultant Inc., Norman, OK 73069-8069, USA, (1999). "A Comparison of Vapor Cloud Explosion models (Issue 2)", Quest Quarterly, Vol. 4, Quest Consultant Inc., Norman, OK 73069-8069, USA, (1999). Hoorelbeke, P., and Mukharror, D., "Mitigation of Vapor Cloud Explosion Effects by Inhibitors", Society of Petroleum Engineers, SPE 123908, Texas 75080, USA, (2009). Liu, G., Hou, F., Xie, L., Shen, Zh., and Zhou, T., “Experimental Study of Fuel-Air Explosive”, Combustion Explosion and Shock Waves, Vol. 44, issue 2, pp. 213-217, (2007). Diaz, A., and Fernando, G., “Characteristic Overpressure-Impulse distance Vapor Cloud Explosion Using the TNO multi Energy Model”, Journal of Hazardous Materials, Vol. 137, pp.734-741, (2006). Wilkinson, C. R., and Anderson, J. G., “An Introduction to Detonation and Blast for the Non-Specialist”, Defence Science and Technology Organization, Systems Science Laboratory, DSTO-TN-0526, Australia, (2003). Cardillo, P., “Some Historical Accidental Explosions”, Journal of Loss Prevention in the Process Industries, Vol. 14, Issue 1, pp. 69-76, (2001). 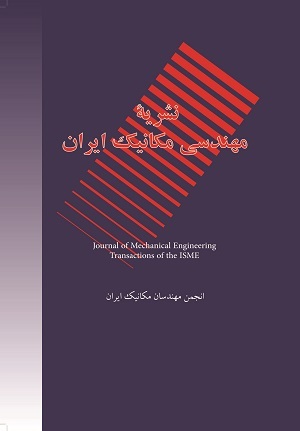 Ikhan, F., and Abbasi, S.A., “Major Accidents in Process Industries and Analysis of Causes and Consequences”, Journal of Loss Prevention in the Process Industries, Vol. 12, Issue 6, pp. 361-378, (1999). Hoorelbeke, P., Bakke, J.R., Renoult, J., and Brewerton, R.W., “Vapor Cloud Explosion Analysis of Onshore Petrochemical Facilities, American Society of Safety Engineers, Middle East Chapter, ASSE-MEC-0306-38, (2006).